Data is a common thread among businesses large and small. Every company from the local plumber to a major corporation relies on a server system or mobile app of some kind as a line of business application. Whether that system is on premise or hosted in the cloud, that data is the life line of these businesses. 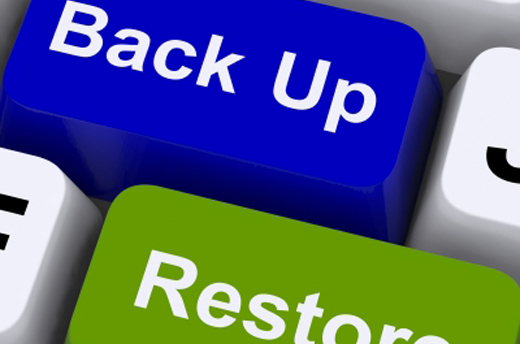 Therefore, it would seem that backup and disaster recovery would be at the top of every company’s priority list. Unfortunately, that is not the case. In actuality, the average business owner or executive has no idea as to what their backup strategy consists of or if they actually have one. For many IT workers, backup is a rudimentary task that is carried out routinely, but rarely if ever vetted or tested. With today’s complex hybrid networks that feature a combination of physical, virtual and cloud based systems; having a comprehensive backup strategy is imperative. In order to create a backup strategy, you must first consider any compliance requirements that your company may be subjected to such as HIPAA (if you’re a healthcare provider) or Sarbanes-Oxley (if you’re a public company). Then define your data retention policy which may be influenced by those compliance regulations. Next, it’s important to find a backup solution that addresses your needs while also meeting those compliance requirements. For our network and our clients, we use Barracuda Networks backup server appliances as a crucial element of our backup strategy. These appliances are purpose built for backup and address our data protection needs for physical, virtual and cloud based systems. Barracuda solutions can be managed via a cloud dashboard and they are cost effective as they do not require agent licenses. Instead, they use a subscription model which encompasses the total cost of ownership throughout the lifecycle. This includes warranty support, upgrades and cloud storage. Don’t wait until disaster strikes before addressing your backup needs. 40% of data loss is caused by human error and 90% of businesses that lose data go out of business within 24 months, so develop your backup strategy today! In my next several posts, I will delve deeper into the components that encompass a good backup strategy.